Stefan Feld is one of the top tier designers in the World of Games. 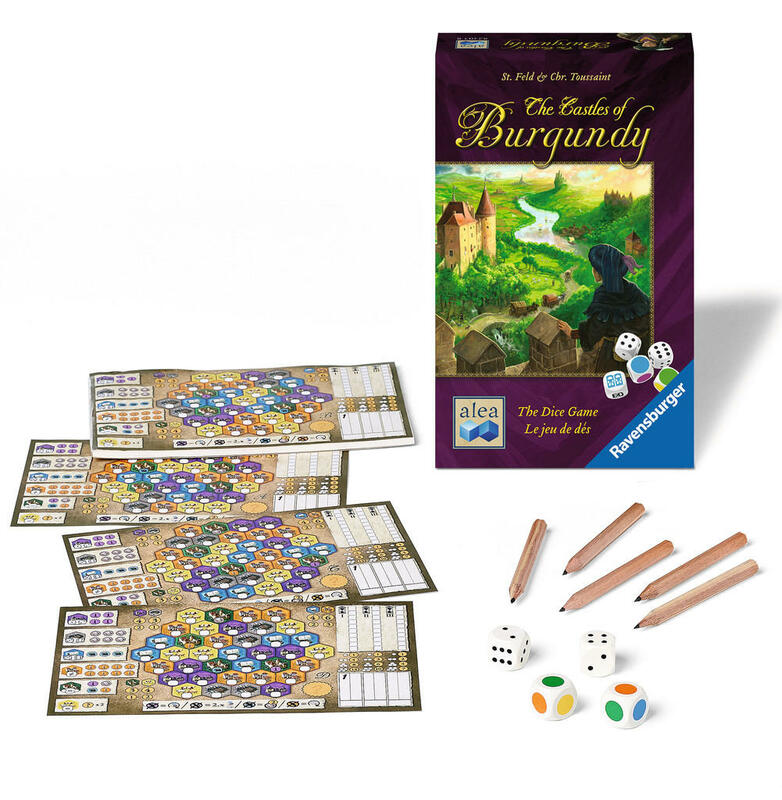 Among his very successful designs is Castles of Burgundy (featured in the Summer 2011 issue of Gamers Alliance Report). As is typical with a hit boardgame, spin-offs follow. Feld has already come up with Castles of Burgundy: The Card Game (Summer 2016 GA Report) and now, with co-designer Christophe Toussaint, has brought dice into the mix with a new “roll and write” offering: The Castles of Burgundy: The Dice Game.